Claims: An innovative hairbrush that is just too busy being fabulous! Cute in size and big on style, it can be popped into your bag and pulled out in a New York minute to reboot hair in seconds. Has a removable cover to protect the patented and innovative teeth from fluff and dirt. Results: This genie in a bottle has been one of the most oldest brushes and one of the most spoken about brushes worldwide. These brushes are usually retailed at Rs.999/- but during the GOSF sale I saw them at an attractive price of Rs. 799/- and I knew I had to add them to my cart. 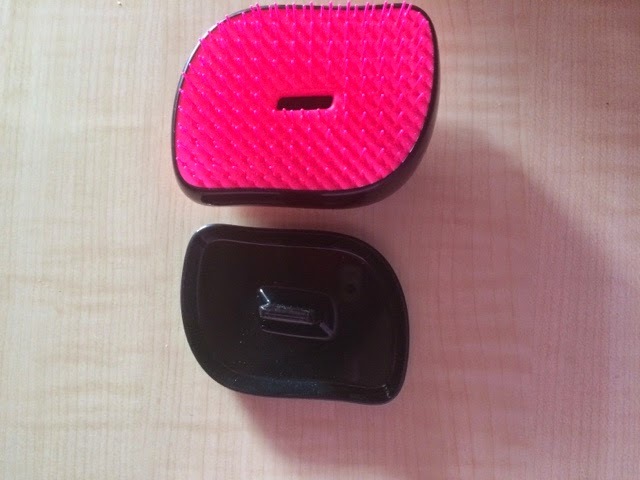 The tangle teezer has at the moment various categories of brushes like Aqua Splash, Salon Elite, The Original, Styler Compact, Styler Compact Collectibles, Magic Flowerpot (children). 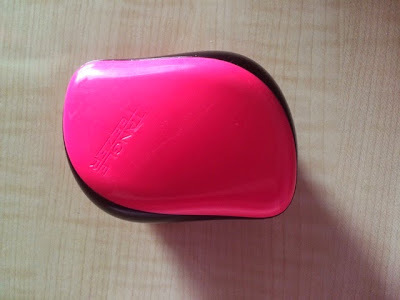 Among their range of products, I personally found the Styler Compact perfect for me. It is not very massive as well, making it travel friendly. It has a cover which protects it bristles from getting damaged or dirty while travelling. I really do carry it around all day in my bag. I love the color variety they have in this, I choose the pink and black one. It looks like any other brush but does help you get rid of the knots and entangled hair in just one stroke of this magic wand. This brush would be your best friend in this windy weather. You really have to get one to understand why I am talking so highly about it. I would definitely give it a Thumbs up! Claims: Keeping beauty at the heart of all that we do, Dove brings you yet another ode to everything beautiful - Elixir; Dove very first range of precious hair oils. Plucked from the gardens of time and indulged in Argan and Hibiscus, Dove Elixir gives your hair the power of overnight oiling in 30 minutes. 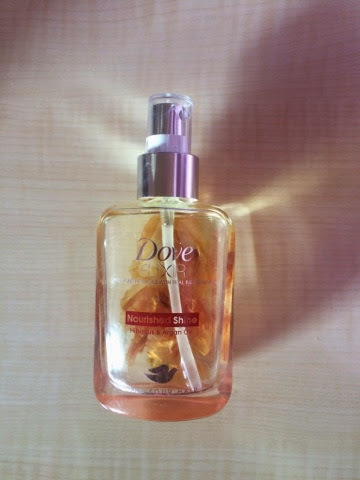 Hibiscus with Argan Oil known to be found in Morocco, make for the virtuous concoction - Nourished Shine by Dove Elixir. These golden drops of elixir work to help hair retain moisture and lend it a magical luminosity. The potion of Dove Elixir - Nourished Shine for brilliantly luminous tresses. 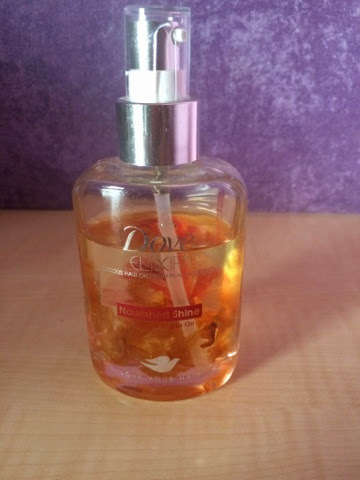 Results: I am officially lovestruck by the aroma of this hair oil. It is a glass bottle with hibiscus petals in it. Real hibiscus petals infused with Morrocan Argan oil makes it smell very pleasant. I liked the idea of having a pump dispenser on an oil is brilliant as this tends to control the spillage and you know the exact quantity you require. The dry weather has made my hair more rough and to rescue it I took the age old method of oiling my hair more frequently. This process has helped retain the moisture of my hair to a great extent and tame my hair. This light textured oil, does not weigh down my hair. It makes my hair feel non-greasy and is quiet easy to wash off. Morrocan argan oil is considered as 'liquid gold'. 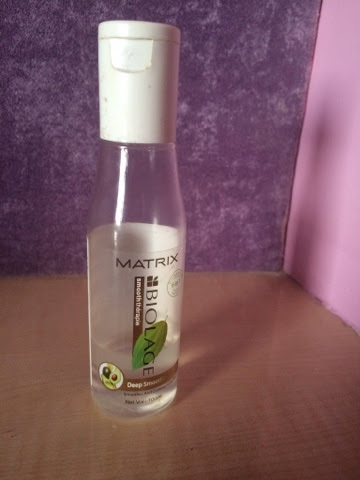 It helps enhance elasticity of hair, control hair loss, treats damaged hair, mends splitends etc. Hibiscus flowers and leaves have been used since ages in Indian ayurvedic oils. I have used a couple of ayurveda products and the hair oils always seem to have hibiscus in them. I am glad that a well known brand as Dove introduced hibiscus in their oils. Overall, am very happy with the combination of modern day Morrocan Argan oil and age old Hibiscus in one bottle. Created with a fusion of natural elements including Avocado, Grape-seed oils & Frizz Taming Polymers – this smoothing serum works wonders for hair. 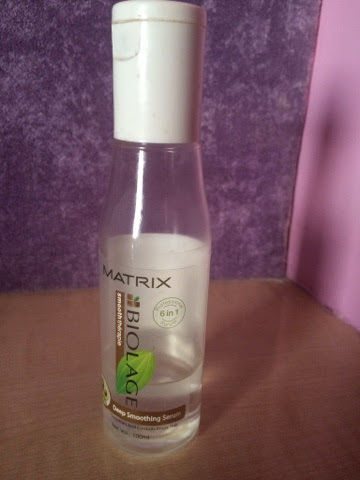 Results: I have tried innumerable serums but at the end of the day I end up coming back to the Matrix Biolage serum. I have been using it off and on for quiet some years now and must say it has never let me down. When I came across the new 6 in 1 formula I picked up one at the store without any doubts in my mind. Well I am happy with the choice I made cause since then it helped me control my frizzy hair a lot. This light, non-sticky textured serum doesn't make hair feel oily unlike some serums. Even during this harsh winter season it has passed all the tests and come out with flying colors. Among the 6 claims it makes I myself agree on all them. 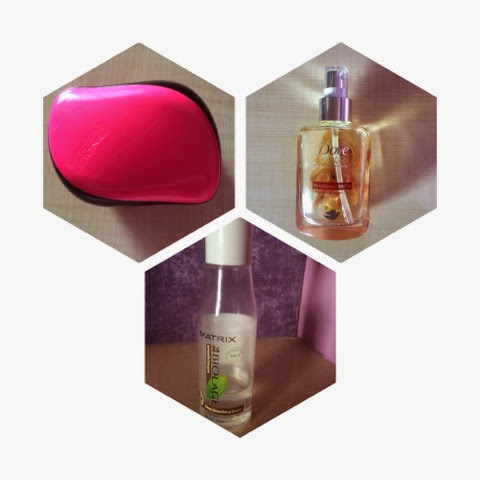 It has made my hair feel very smooth, soft, silky, shiny, manageable, nourished, detangled, non-stick and light. I have nearly finished this bottle of mine and will be buying some more. Absolutely love everything about this serum especially that it has the goodness of Avocado and Grape-seed oils along with its new advanced formula. A Must Try!! !